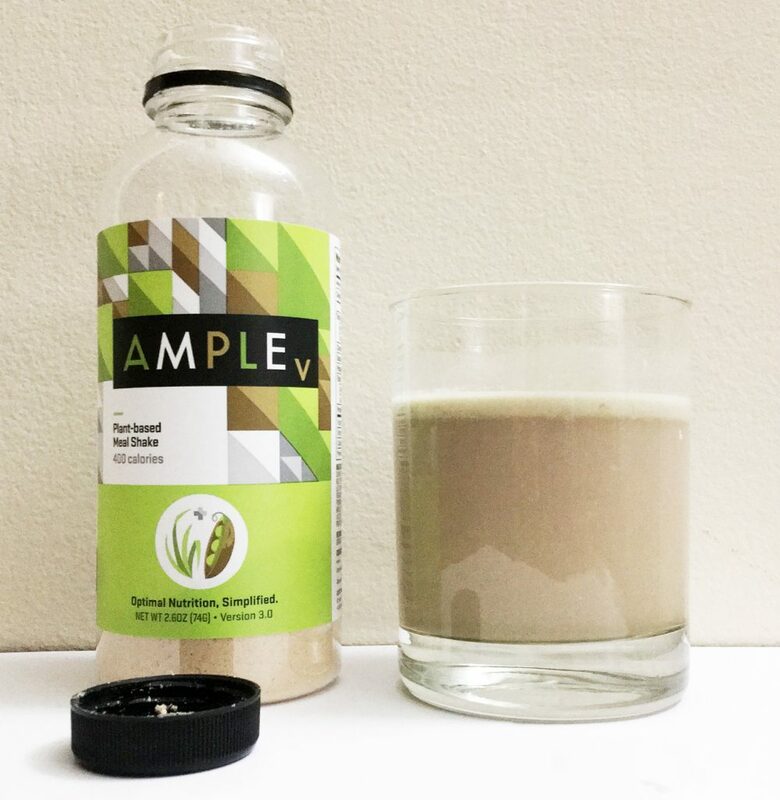 Ample V (vegan) is a great choice with quality all-natural ingredients and the probiotics for digestive health. 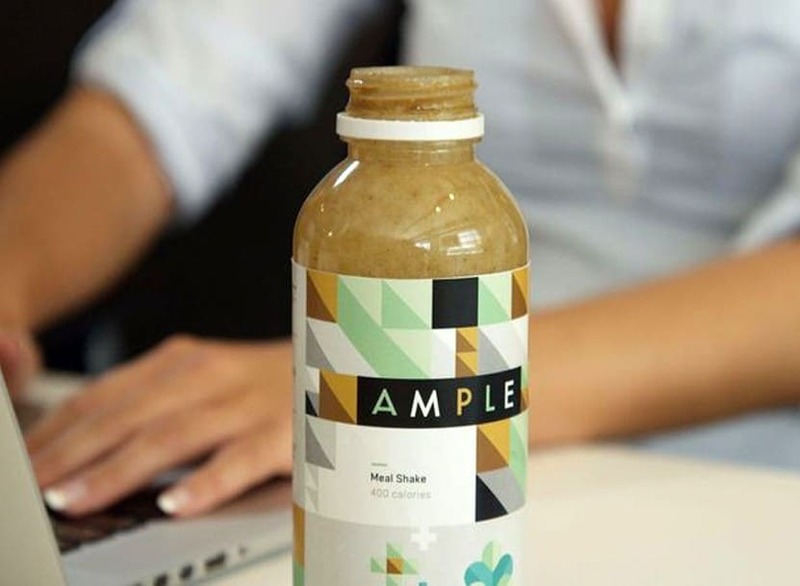 Ample V Review: Ample V is a ready-to-mix plant-based meal in a bottle. 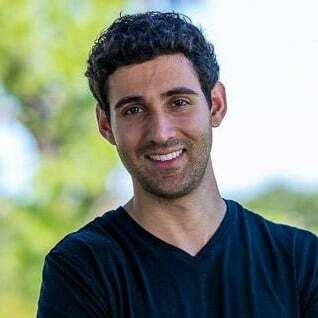 The company Ample was founded by Connor Young and their mission is to supply a healthy source of nutrition to anyone on the go, or who just want a good quality, convenient meal. 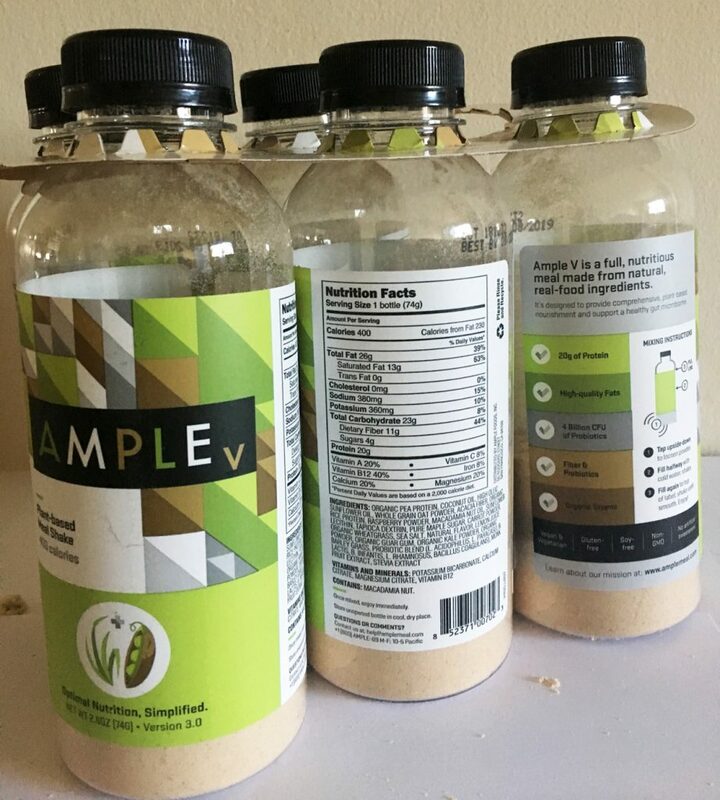 Ample has three versions of their meal shake including Ample (Regular meal shake), Ample K (Ketogenic) and of course Ample V (Vegan). But for now, let’s talk about the Ample V product. It’s made from real food ingredients and if you didn’t know… all Ample shakes are natural with no artificial ingredients. The amazing thing about Ample is it also includes billions of CFU of probiotics for digestive and gut health. Each Ample V bottle contains 400 or 600 calories of plant-based nutrition which includes greens, fruits and lots of good fats from oils. Now, we really liked the idea of this potentially game-changing, “on-the-go” meal in a bottle, and decided to try it out for ourselves. 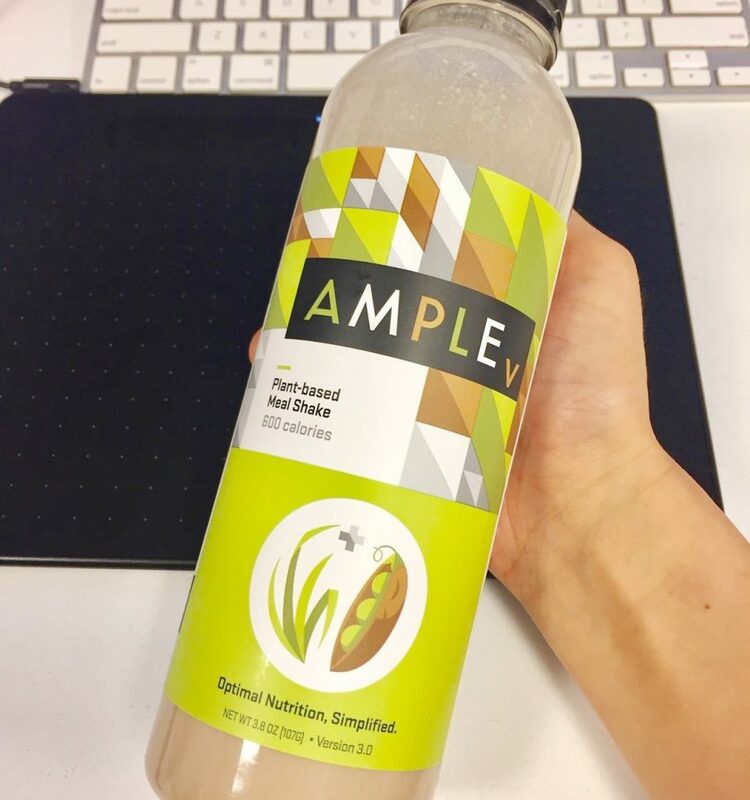 There are 400 and 600 calorie versions of Ample V but we decided to try the 400 calorie bottle. 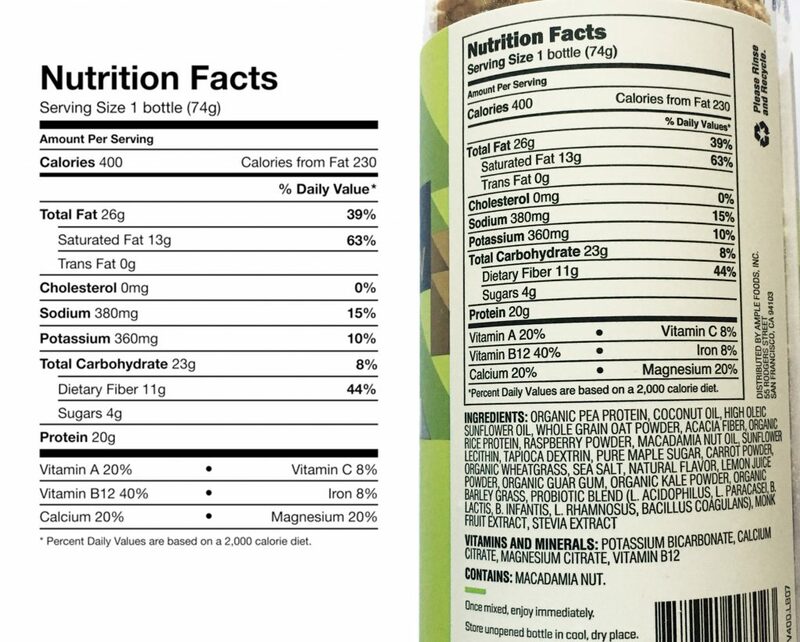 One serving of the plant-based meal shake contains 20 grams of protein, 26 grams of fat (39%), 23 grams of carbohydrates (8%) and 4 grams of sugar. 13 grams are saturated fats and there are 0 Trans fats. Each serving also contains 0 cholesterol, 380 mg sodium (15%), 360 mg potassium (10%) and 11 grams of fiber (44%). The fiber content is great since Ample V does focus a lot on digestive health (A big benefit). OK, so this is where Ample V falls short… now, it does contains a good amount of the vitamins and minerals it includes but it’s very limited in this area. Ample V includes: 20% Vitamin A, 40% B12, 20% Calcium, 8% Vitamin C, 8% Iron and 20% Magnesium. While this is pretty good for the vitamins and minerals that it does offer, you can see it’s missing a lot more of the essential nutrients we need on a daily basis. What Makes Ample V a Great Vegan Meal Choice? Besides the fact that Ample V (And any Ample products) is so convenient as it comes in a pre-filled bottle; it has 400 calories per serving which is very sufficient for a meal replacement. Now, since Ample V contains real-food ingredients with nothing artificial, you never have to worry about consuming anything unhealthy as all the ingredients have a lot of great nutritional value. 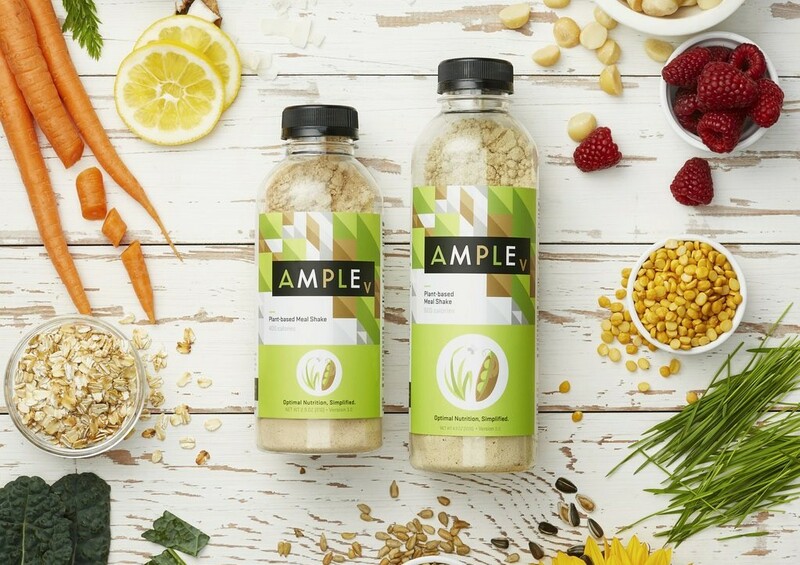 Ample V contains healthy greens and fruits like Raspberry powder, Carrot powder Organic Wheatgrass, Organic Lemon Juice powder, Organic Kale powder, and Organic Barley Grass. Since you get 26 grams of fats from Coconut, Macadamia Nut and Lecithin Oil (Plus lots of fiber) from Ample V, it’s a meal shake which is designed to make you satisfied with a single serving (One bottle) and it does just that. The carb count is a little low but with 400 calories in a serving, you’re getting a lot of macronutrients. Well, these probiotics are needed to replace the healthy gut bacteria so we can properly digest our foods and keep everything healthy. Where Does Ample V Fall Short? Although Ample V has 400 calories, plenty of fats, proteins and a decent amount of carbs; it’s very nutrient dense otherwise besides the few vitamins and minerals it contains. Other meal replacement shakes do often contain more nutrients (Especially for people who are more active) which is a big downside of Ample products. The focus seems to be more on providing an all-natural, healthy option which is also very convenient but it’s not the best when compared to a fully nutritious meal. How Does Ample V Taste? As for the taste of Ample V… I was pleasantly surprised! Now, of course, this is a subjective thing and everyone will have a different opinion but I don’t see how anyone could complain about the flavor for a vegan option. I really did enjoy the taste and for a plant-based product, I’ve yet to taste anything as good. It was almost like an Almond milk flavor with a hint of Macadamia Nut and of course a little Coconut oil. The creamy texture was nice and the instructions on the bottle are perfect for a great consistency. If you want a smoothe texture, it might take a little extra shaking. Ample shakes do have a little grittiness to them (Mostly at the bottom) but it’s not a deal breaker for me and it’s certainly not the worst. If you like nutty and creamy, then you’ll like Ample V.
Since there are two options for Ample V shakes (400 and 600 calories) there are of course different pricing options based on whether you make a one-time purchase or subscribe (You’ll save 10% if you subscribe). Here’s a pricing breakdown of both options (Quantity options are 6, 12, 30 or 60 bottles and they are priced cheaper per serving the more you purchase at a time). Use code FITNESSVOLT to save 15% on your order. If you regularly get all your necessary nutrients from other food sources, then Ample V is a viable alternative as a meal replacement shake (Since it’s not nutritionally complete). It doesn’t provide everything we need as far as nutritional content but if you need a decent and convenient source of nutrition on-the-go, then it’s a good option to have when you need “real food”. The quality, all-natural ingredients are excellent and the probiotics are a great addition for digestive health which makes Ample V a good choice for in between your regular meals.